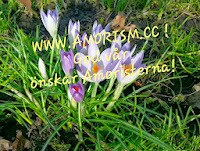 www.amorism.cc Bättrad den 16-05-22 kl. 10:54 språk; 16-05-05 bild om Schopenhauer; Denna artikel publicerades först gången den 2016-04-26 kl. 17:53. Mankind and the world would be happier if there was better knowledge, more amorism®, the philosophy of virtues and total benevolence and total happiness. I think I understand what the world famous writer Mark Twain meant with "It's easier to fool people than to convince them that they have been fooled.". I cite this because many persons think that they understand enough. But many who don't have a scientific and humble attitude don't examine if their own knowledge is good enough. The book Amorism explains that understanding contributes to happiness. Many are satisfied because they believe they understand enough. But it may require effort to examine knowledge. And many persons don't have enough interest, knowledge, time and intelligence to understand enough. And thinking requires time, effort and work. Understanding contributes to happiness. Also incorrect understanding may give some happiness, (but not total happiness). Such half-happiness misleads many persons to not examine their own knowledge. Therefore many are tragically “happy” (half-happy) with illusions, lies and incorrectness. This also explains the famous and tragic latin phrase Mundus vult decipi (The world wants to be deceived). But I would rather say: knowledge gives happies even if the knowledge is erroneous. By Fredrik Vesterberg 2016 – author of the book Amorism. First publiced in year 2016. 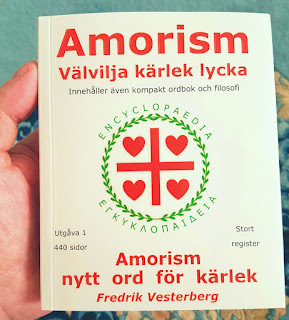 Support translation of this unique book: link: Translation of the book Amorism. Länkar till nästa möte. På amoristiska möten läses trosbekännelsen. Vi umgås. 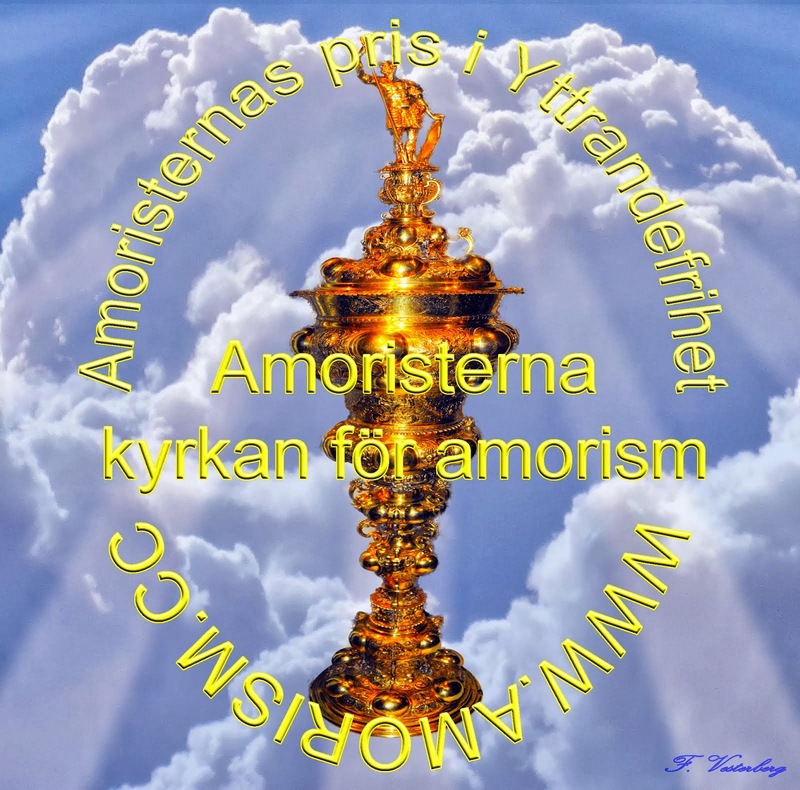 (Somliga möten har inte amorism som huvud-tema.) Ofta hålls även föredrag om filosofi, samhälle, kultur, psykologi eller vetenskap: Möten och information. 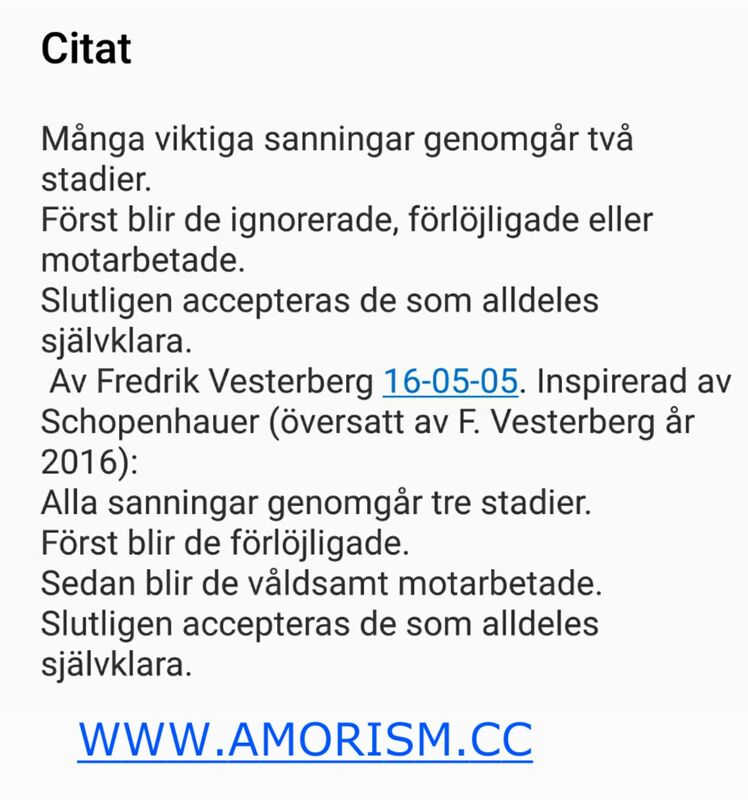 Amoristerna behöver ditt stöd! Ekonomi. 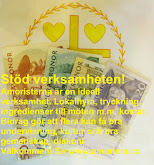 Amorism är detta. 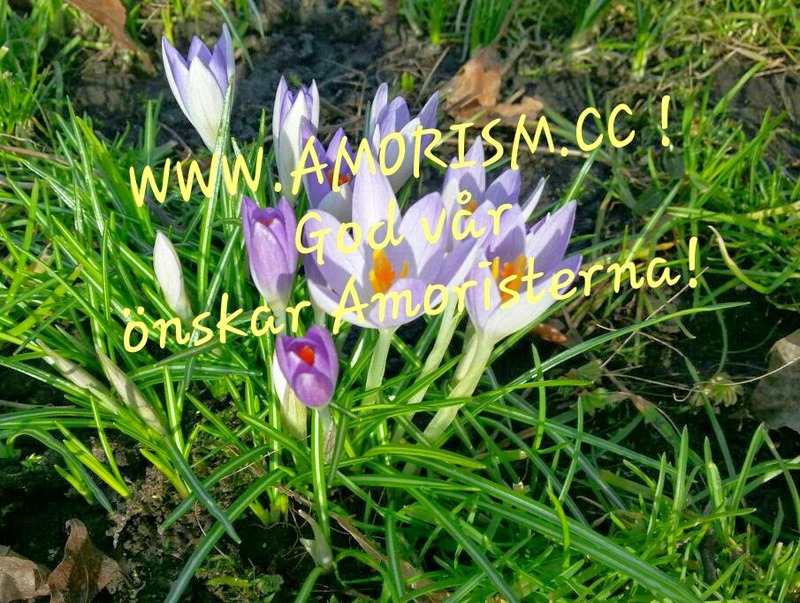 Kort artikel om trosbekännelse som sammanfattar amorism: Trosbekännelse. Lång artikel som förklarar mycket. Amorism är en ny lära. Inte beroende av någon övernaturlig förklaring. Gillar yttrandefrihet och vetenskap i synnerhet i amoristisk anda. Skiljer sig från andra: Definition.